Kaśyapa, the one who lives in the form of a Ṛṣi and who annihilates all the consequences of the misdeeds of all beings in all the worlds. The most valuable Vedic scriptures found in the history of mankind are mostly treasured in India. Our land holds the pride of carrying the history of the most enlightened Ṛṣis (seers) who passed on to us the treasure of transcendental knowledge. One such Ṛṣi is Kaśyapa, an ancient sage, who is one of the Saptaṛṣis of the current Manvantara. He is the father of the Devas (celestial beings), Asuras (demons), Nāgas (divine serpents) and all living beings. The wise sage married the thirteen daughters of Dakṣa Prajāpati, one of the sons of Lord Brahmā. With his wife Aditi, he fathered the Âdityas, Lord Agni (the Fire God) and Lord Viṣṇu who took his fifth Avatār (incarnation) as Vāmana, and with his wife Diti, he begot the Daityas. Both Diti and Aditi were also the sisters of Sati, the consort of Lord Śiva. The Âdityas went on to establish the greatest solar dynasty, known as the Ikṣvāku dynasty, which was consecutively ruled by famous monarchs. The wise sage received the earthly realm, which was obtained by Paraśurāma who conquered King Kārtavīrya Arjuna in a battle, after which the earth was known as ‘Kaśyapi’. He also authored Kaśyap Samhitā, a classical treatise on Ayurveda. Little did we know that there is an interesting Vedic story behind the origin of Kashmir. Once Sage Kaśyapa went on a pilgrimage to Kashmir, an enchanting mountain with beautiful valleys, lakes and peaks. Upon his arrival at Naukabandan, which was an ancient town located near Kaunsarnag, the Nāgas who resided there approached him and requested him to rescue them from a demon called ‘Jalodhbhava’ who was tormenting the beings who resided on the slopes of the mountains, by hiding beneath the waters of a lake. So, in order to seek divine intervention, the sage performed intense austerities, meditating upon Lord Viṣṇu. Pleased by his austerities, Lord Viṣṇu pierced through the mountains, breaking open the lake, allowing its water to flood the other regions of the mountain. The water in the lake drained out, and the demon was killed by the lord. And, there emerged a beautiful valley, which was named ‘Kashyap Mar’, the abode of Kaśyapa. In due course of time, the valley came to be known as ‘Kashmir’. Sage Kaśyapa also incarnated as Vasudeva, the father of Lord Kṛṣṇa, due to a curse that Lord Brahmā unleashed upon him. 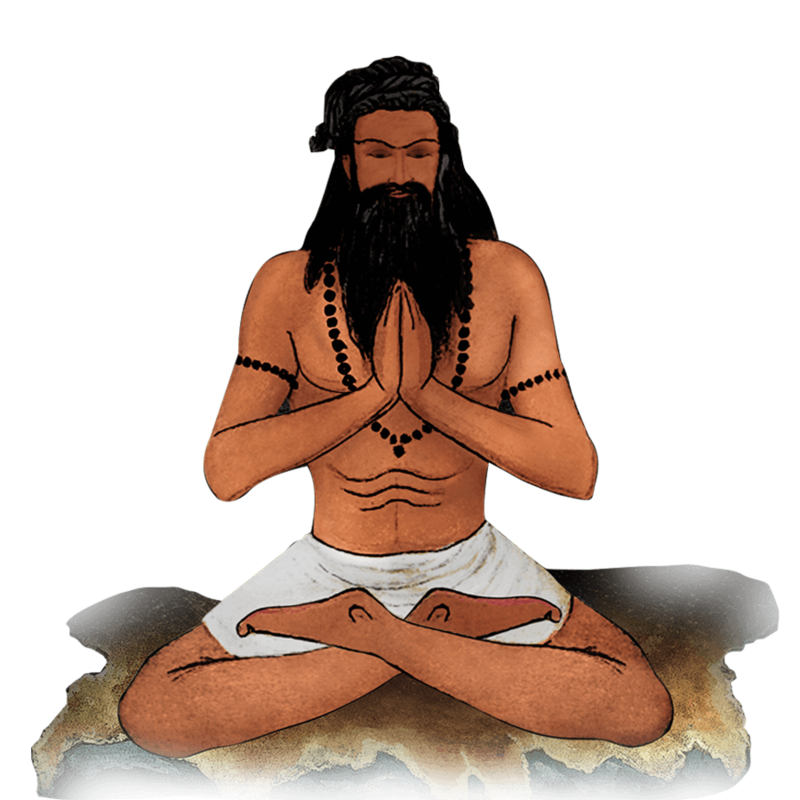 Once, the sage performed a Yajña (a Vedic ritual) in his hermitage in order to offer oblations to the Devas for the welfare of the beings in the world. To perform the ritual, Sage Kaśyapa required offerings such as milk, ghee etc., for which he sought the help of Lord Varuṇa. When Lord Varuṇa manifested before him, Sage Kaśyapa requested him for a boon of limitless offerings to perform the Yajña successfully. Lord Varuṇa offered him a holy cow which would provide him with limitless offerings. He then told the sage that the holy cow would be taken back once the Yajña was over. The Yajña went on for several days, and with the presence of the holy cow, the sage never faced any obstacles. Realizing the miraculous power of the cow, he was overcome with greed and desired to own the cow forever. He did not return the cow to Lord Varuṇa even after the Yajña was over. Lord Varuṇa appeared in front of Sage Kaśyapa and told him that the cow was given to him as a boon, only for the Yajña, and now that the Yajña was over, it had to be returned as it belonged to the heaven. Sage Kaśyapa refused to part with the cow and told Lord Varuṇa that whatever is offered to a Brāhmaṇa should never be sought back, and whoever does that would turn out to be a sinner. Hence, Lord Varuṇa sought the help of Lord Brahmā who appeared before the sage and told him to get rid of his greed which is capable of destroying all his virtues. Nevertheless, Sage Kaśyapa remained firm in his resolve, which enraged Lord Brahmā who cursed him, saying that he would be born on earth again as a cowherd. Sage Kaśyapa repented for his mistake and pleaded Lord Brahmā to forgive him. Lord Brahmā also realized that he had cursed him in a haste, and told him that he would still be born as a cowherd in the Yādava clan, and Lord Viṣṇu would be born as his son. This was how Sage Kaśyapa was born as Vasudeva and became the father of Lord Kṛṣṇa.